Ethernet cable and patch cable are very common in our daily life. However, confusions about Ethernet cable vs patch cable is common too. 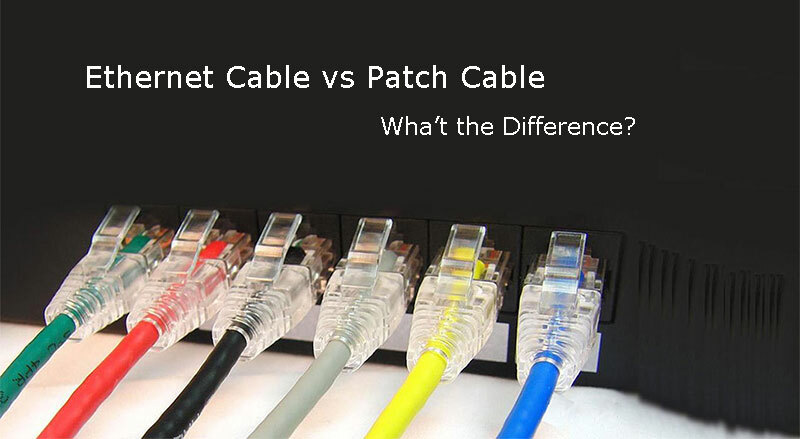 In this post, it will focus on the differences about Ethernet cable vs patch cable. Then help you guys can make a sense of the two terms. Ethernet Cable vs Patch Cable: What’s the Difference? What is an Ethernet cable? That’s the first question one should know. “Ethernet” is a type of protocol, defining the way that bits of information travel over a particular medium. The cable such as fiber optic cable, twisted pair or coaxial cable and category cable belongs to Ethernet cable. And the two common types of Ethernet cables are copper network cable and fiber optic cable. Usually, to simplify the appellation, people get used to calling category Ethernet cables as Cat5, Cat5e, and Cat6 as Ethernet cable. Then how about the patch cable (sometimes also called patch cord)? It’s a type of cable with connectors on both ends that are used to connect an end device to something else like a power source. Similar with Ethernet cables, there are fiber patch cable and Ethernet patch cable, like LC fiber patch cable or Cat6 RJ45 patch cable. And patch cables are often used for short distances in offices and wiring closets. Ethernet patch cable can link a computer to a network hub, router or Ethernet switch, which is useful for constructing home computer networks. Therefore, shortly, Ethernet cable refers to types of cable. While patch cable has connectors at both ends and belongs to a part of Ethernet cable. That’s the difference between them. To illustrate clearly the differences between Ethernet cable and patch cable, the following confusing and frequent-asked questions about them may be helpful. Are All Ethernet Cables the Same? No. According to the explanations above, there are various types of Ethernet cables such as optical fiber cable, Ethernet crossover cable and category copper cable. Correspondently, each type has different specifications and applications. For example, optical fiber cable is used for long distances or applications requiring high bandwidth or electrical isolation. While Ethernet crossover cables are used in buildings. 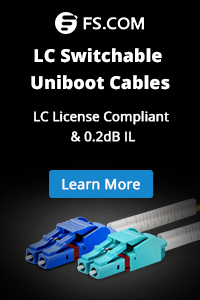 Is Patch Cable a Straight Through Cable? Straight-through wired cables are most commonly used to connect a host for a client. Here, take cat5e patch cable as an example. The straight-through wired cat5e patch cable can connect computers, printers and other network client devices with the router switch or hub (the host device in this instance). 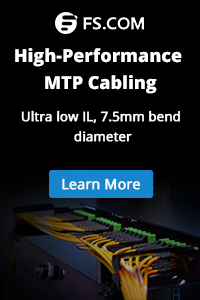 However, when it comes to fiber patch cable, they don’t have the straight-through cable type. Can I Use Patch Cable as an Ethernet Cable? Yes. In most cases, the Ethernet cable and patch cable are the same things in copper networks. But the latter is usually shorter to “patch” from your patch panel to your switch. For example, there is a need to use 100ft Cat6 cable to wiring home network. In this situation, the 100ft Cat6 patch cable can be used as Ethernet cable. The type of Ethernet cable is rich. This is the essential difference between Ethernet cables and patch cables. In that case, when it comes to Ethernet cable vs patch cable, knowing their types and applications is the key to compare them. How to Get a Wired Home Network With Ethernet Cable? This entry was posted in Copper Network and tagged cat5e patch cable, Cta6 Ethernet patch cable, Ethernet cable, Ethernet cable vs patch cable. Bookmark the permalink.